Vietnam is famous for several destinations where your experience can be accumulated from the activities. For a long time, Vietnam is a country with the symphony of culture, history, landscape and at its heart, the people. Coming here, you will find that these categories are not rigid but rather diverse and dynamic. Every landscape you tread, every architecture you see, every dish you taste and every person you meet has a story to tell you. Therefore, in this article, we can offer you your best travel experience in Vietnam holiday destinations in Northern. Greatly, Vietnam is the awesome country so if you visit here at the best time, you will have a better trip. In the recent, you can spend the mid of February on traveling in there, of course, it is very special. Vietnam weather between January and March is characterized by cool and occasional light rain in the North, warm and dry in the center and the south. The temperature in Hanoi ranges between 15 and 22 but the temperature in Sapa is lower than 20. Sometimes, on the top of Fansipan, you will take the challenges with the snow. Hanoi is a unique city where seemingly contradictory characteristics happen to exist in harmony. It is where the people embrace rich cultural legacy while thriving to modernity and affluence. 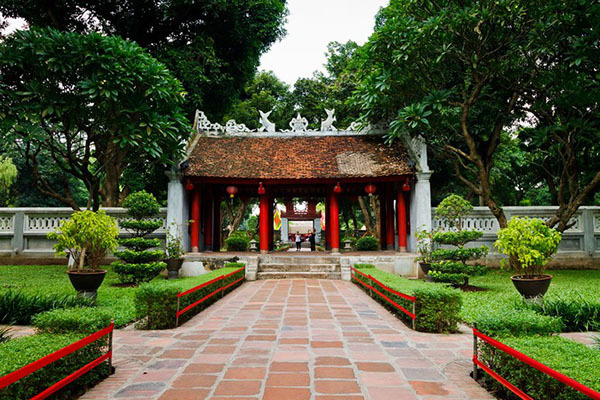 The first place you should visit is Temple of Literature which is the first university in Vietnam. It is seen as an old-traditional appearance. Especially, almost of universities in Hanoi has come here to take photograph before graduating. Not only that, you will learn more about the historical and cultural events at the peaceful temple. Next, the other best Vietnam holiday destinations in Northern is Hanoi Old Quarter. 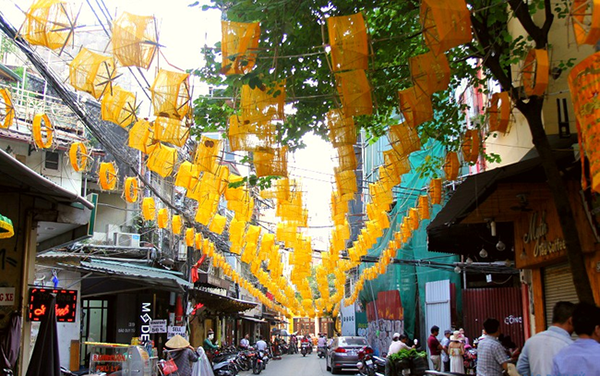 Hanoi Old Quarter is constructed both of old-style and modern – styled streets to adapt to the dynamic atmosphere. To grace the overview around the center, you should take a cycle. Hoan Kiem Lake is located inside a complex of Ngoc Son Temple, The Huc Bridge, and Pen Tower. Visiting this unique historical vestige comfortable situated around Hoan Kiem Lake, tourists get the opportunity to explore the energetic life of the local a hundred years ago. Different with the daily life, the atmosphere in Tet holiday is so quiet. Hanoi is a busy city. However, during one week, almost of Vietnamese comes to the countryside, so no more traffic jam and crowd, no more horn from the vehicle. One suggestion for you coming to this city is tasting one cup of coffee while doing a bit of walking tour in the Old Quarter on a typical cold winter day. The taste is so excited. Otherwise, this a special time for some local families out taking photos of their little ones happily smiling in traditional Vietnamese costumes. You also hire the traditional clothes of Vietnam to keep memories by some photos. On those first days of the Lunar Year, don’t forget to take some time to go to the Temple of Literature and Scholars’ Street as well as the famous temples. From January to March, it is the best time for someone want to take the lower temperature for climbing the mountains. The highlight suggestions for Sapa destination which is one of the greatest breathtaking hill stations in this country. And this place particularly shows the signal architectures in French and the colorful hill tribal cultures. Because of its specific terrain and unique weather, Tet holiday in Sapa seems to be distinctive; it is not as crowded as weekdays. Actually, Sapa is one the best Vietnam holiday destinations in Northern as you completely experience the atmosphere of a cozy spring through the atmosphere is quieter. You will sense warmth spreading out all over from peach blossom, lights from street lamps at night at this mountainous area. Starting with Ta Phin village, you will have a good point in the first place in Sapa. 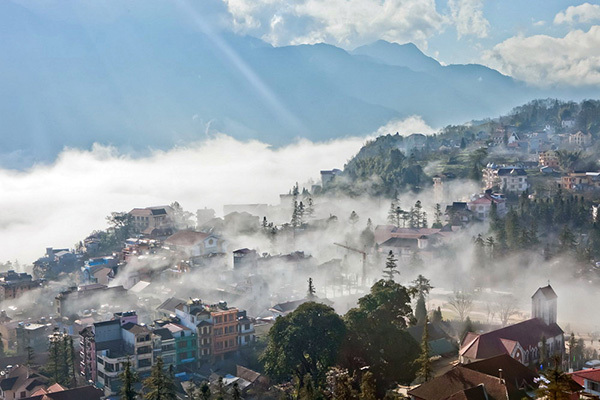 This village is located in Sapa District and about 12 kilometers northeast of Sapa Town. The village is surrounded by mountains with the rice terraces. Coming here you can approach the life of Red Dao and Black Hmong people, which are two largest ethnic groups living in Sapa. You have great opportunities to discover the traditional life and daily activities of local people there. Moreover, if you travel in the Lunar Year, you can know their customs. Otherwise, there is a chance for you to get to know more about local hill-tribes as visiting their home, and experience some of their daily activities. Not only that you also buy souvenirs which have numerous bright colors and patterns such as a bag, purse, skirt, and even backpack and coat. A tour guide is one of the must-have things when coming to this mysterious place, you will walk from Sapa towards Muong Hoa valley where we can admire the magnificent landscape. From here, the wonderful scenery of Hoang Lien mountain will be displayed. After that, you can meet Black H’mong group who wear colorful dresses. Continuously, you can pass the terraced rice paddies and minority villages along the Muong Hoa River. After that crossing the suspension bridge towards the Zay village, you arrive in Ta Van village. As you walk through different hill tribe villages (Hmong and Dao people), our guide will explain customs or practices to you. 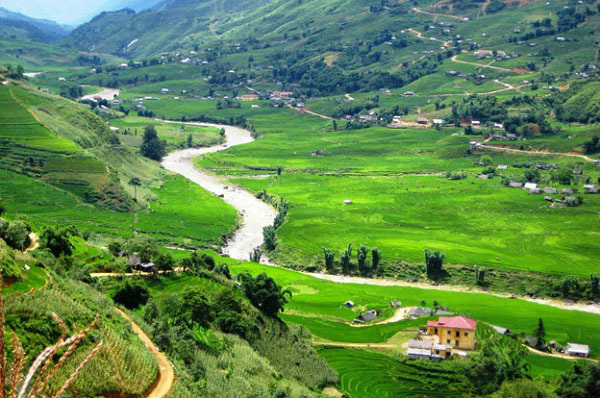 Especially, coming Sapa in Vietnamese New Year, you will have a chance to experience in local activities in Tet holiday. One suggestion for you is to experience a homestay with local people where you have dinner cooked on a wood fire enjoying the company and hospitality of our Tay family. If you can arrange a free time to join the New Year festival of H’mong people. Gau Tao is the biggest festival organized by H’mong people. It means that they want to respect ancestors of harvest, cattle and pray for their children and it demonstrates the features of H’mong culture in Tet holidays. The festival can celebrate during 3 days if it’s held every year or 9 days if the time period is each three year. In this festival, there are charm-transferring singing, playing favorite games and activities. At the festival, you can also have a chance to try the good meal with traditional foods. 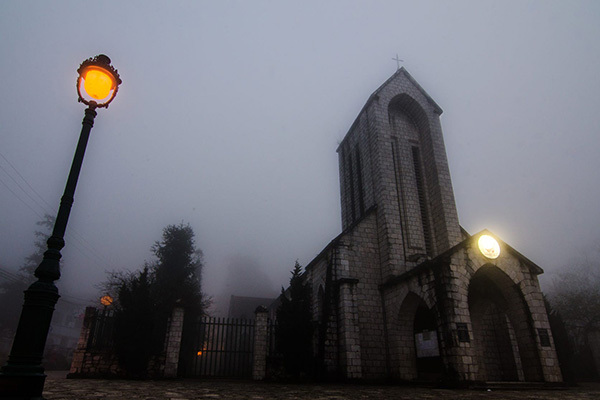 You continuously come back to Sapa town to visit the stone church, which is situated in the central position; the backside of the church relies on Ham Rong Mountain and its front side overlooks the lowland. It’s said that the direction of the church is the east, the direction of the sunrise. According to the old conception, it’s regarded as the light direction of the God that brings the good things to the humans. The Church was made from the shaped stones in combination with a mixture of sand, lime, and molasses even from the smallest details; that makes the church becomes more special. Conclusion, with clean and such romantic atmosphere, Sapa is definitely going to be an interesting and full of a fun journey for New Year vacation. If you want to approach more and more the life of ethics, you should come to Tet holiday. 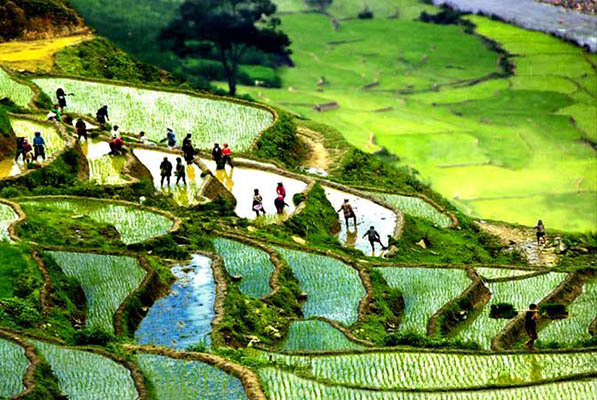 Although is not the only beautiful time of Sapa, however, this time the monitories organize many traditional activities. And finally, you will end the trip by transferring to the station for overnight train back to Hanoi. What Is the Best Holiday Destinations in Vietnam in February?